Save AED 18 (72%) – Earn 1 Shukran What is Shukran? Shukran is the Landmark Group’s award-winning loyalty programme in the Middle East, which allows you to earn Shukrans when you shop any of our brands. 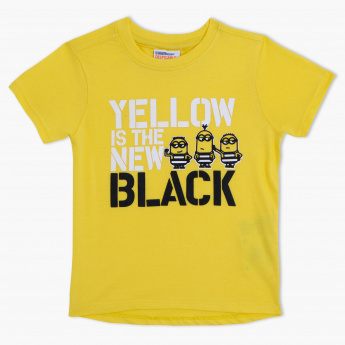 Sporting an adorable Minions print, this t-shirt is assured to update your kid's casual collection with ease. 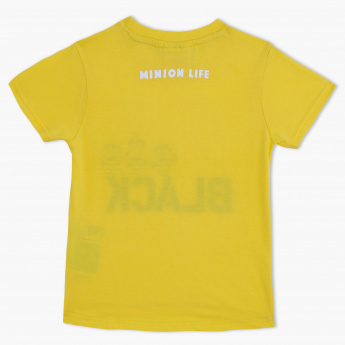 The smart tones and soft fabric make it an apt regular use pick to team with jeans or shorts.